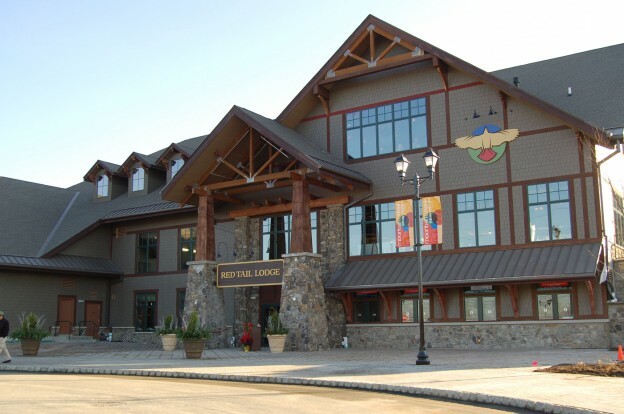 A new year-round lodge for the northern New Jersey skiing and water resort. 50,000 SF of rental, dining, and retail space, including state-of-the art rental process, food court, mezzanine bar/lounge, and table-service dining lounge. Two-story main dining room with full height glazing overlooking mountain slopes. Heavy timber structural wood framing. This entry was posted in Hospitality/Recreation/Resort, Structural Engineering on October 20, 2014 by swolock.